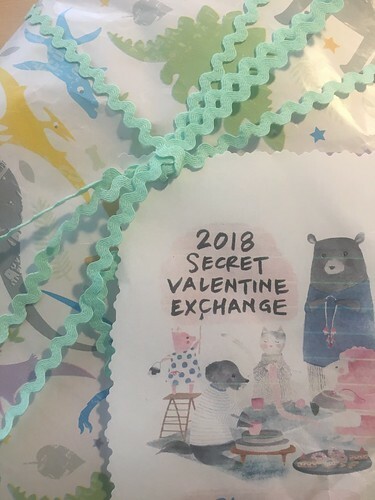 For the past couple of years, I've taken part in the Secret Valentine Swap. Open globally, it's a parcel swap set up by Ute and Sanae, where makers sign up to make and send a present to their recipient. The idea is to use things you already have, and when you sign up you give a few details about favourite colours, patterns etc. I have to admit, I always sign up to things like this with super enthusiasm, and then get The Fear. That I won't be able to make something which someone will like. 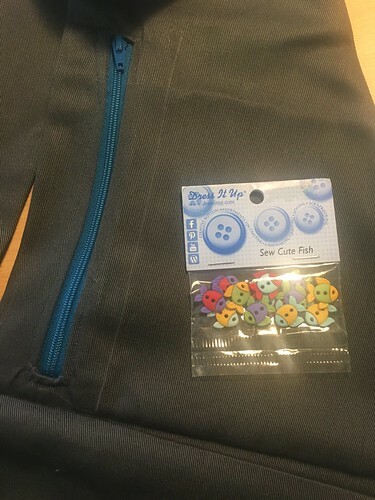 I often worry about my makes - not so much if they're for me, but as soon as I start making a gift for someone else, I assume they're going to be super critical or expect something better. Wah! Nonetheless, I posted off the parcel for my swap recipient a couple of weeks back and looking at her IG, I know she happily received it. And...here's what I received. I picked up my parcel this morning from the sorting office and opened it up as soon as I got to my office. 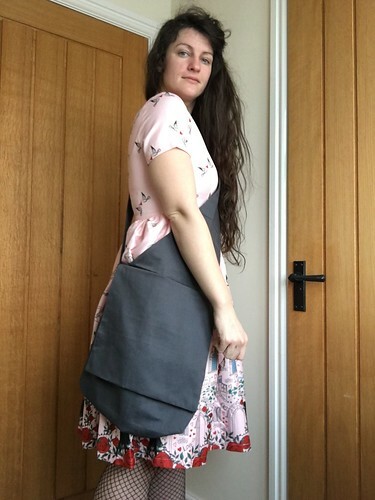 Pecia, with the help of her twins - Pie and Pop - made me this amazing sling bag. 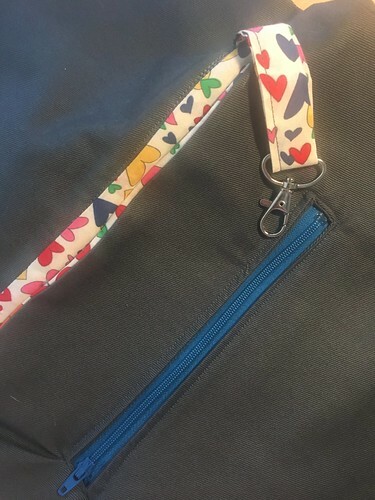 The girls did a great job of the two zips (like, seriously, probably better than I could have managed!) and I love that the insides of the bag are secretly multi-coloured and amazing. Such a cheerful heart print. 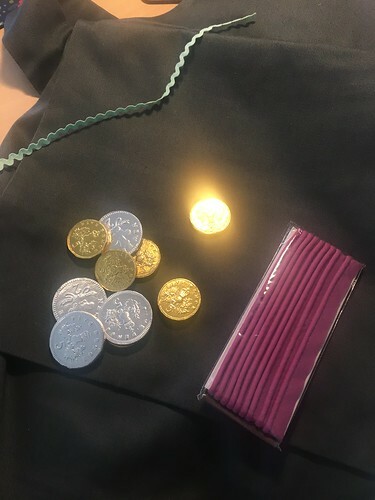 The bag was filled with other goodies too - chocolate pennies and fish buttons. 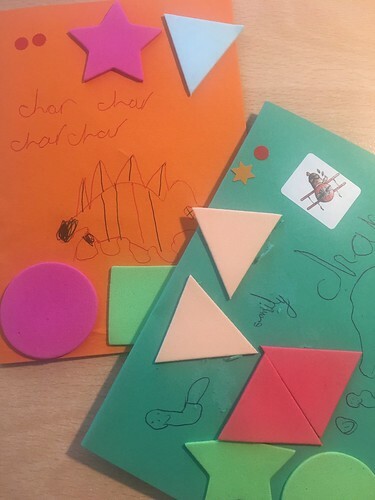 The twins also sent a card each, featuring dinosaurs and the parcel came wrapped in dinosaur paper, too! Thank you so much Pecia for such a lovely swap parcel!! What a super idea. Your gift is perfect!